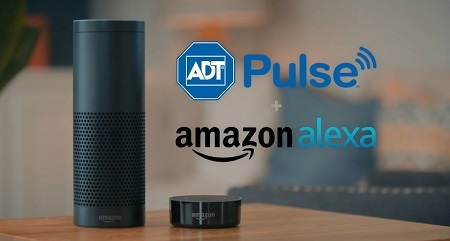 Now that you have an Amazon Alexa or Google Home Assistant you can start giving your ADT Pulse security system voice commands. Get bossy with your ADT System it likes to go to work. 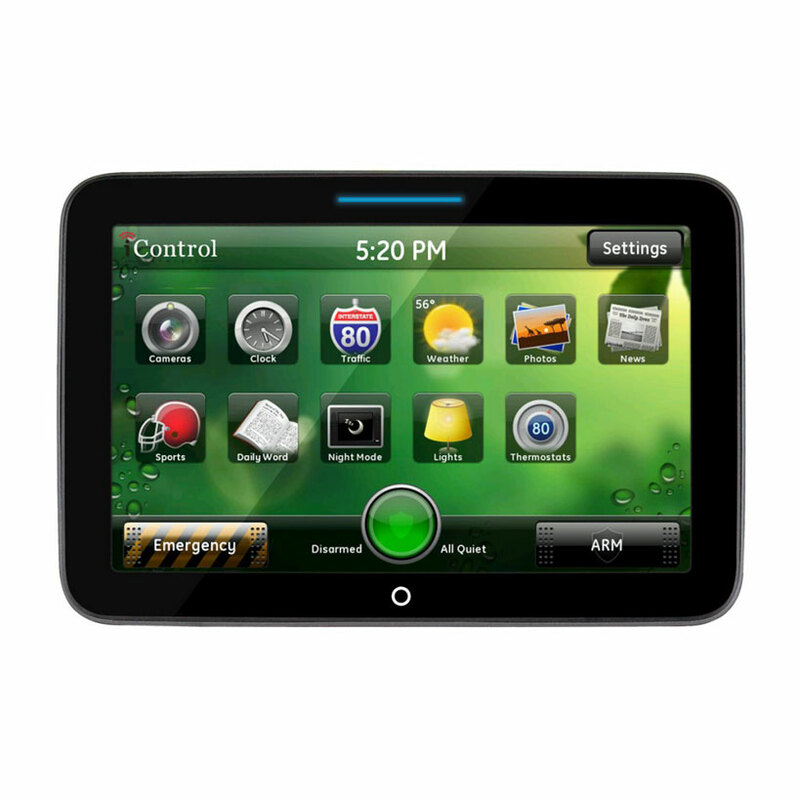 ADT Pulse with voice command can control your security system, lights, thermostats, garage door and automated locks. 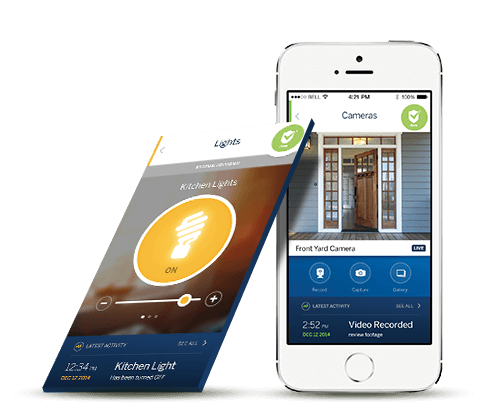 What Level of Smart Home Automation and ADT Security is Right for You? When looking at today’s modern smart home and security systems many customers are trying to decide how to plan for a solution that meets their needs and budget. There are so many options today but it’s almost overwhelming to many homeowners. 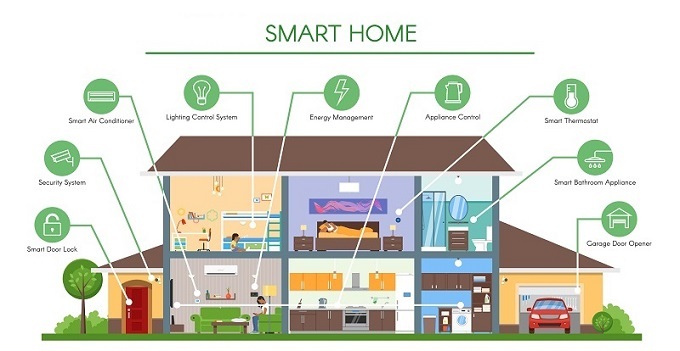 Options are nice of course but when there so many, how do you decide what’s best and how to plan for a full integration of a connected home. You can spend as little as the few hundred dollars for a security system or spend thousands for a home that’s completely connected. Spring has sprung and for many, it’s time to plan a getaway to the vacation home. Vacation homes are safe havens where we escape the stresses of everyday life and rejuvenate our lives. Whether your vacation home is in the woods, near a lake or right in the middle of a city near loved ones, it’s that ideal haven you chose to recharge your battery at. While planning your trip, thing about adding a security system to your home away from home if you haven’t already. 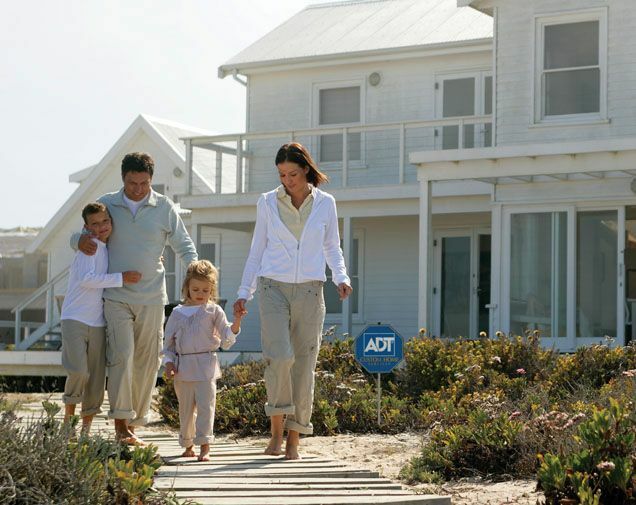 Here's 5 ways an ADT Pulse system will keep your vacation home feeling like a vacation. A team or professionals to respond to emergencies while you are away. 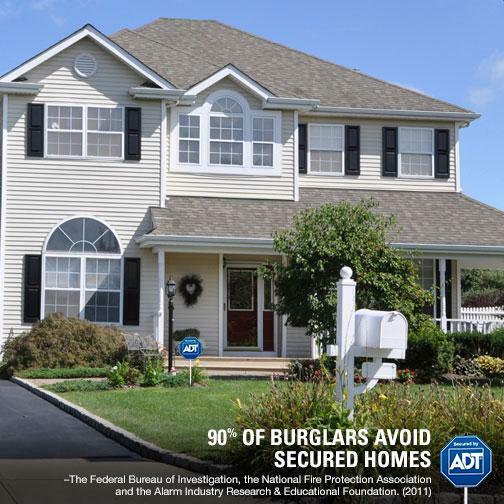 ADT Pulse Cameras provide a live video surveillance feed to keep you in the know. With ADT Pulse Thermostats, you can take preventative measures against extreme weather. The ADT Pulse App and Personalized Web portal keeps you in the know and in control. Make sure you leave your vacation home well protected when you head back to reality this year. Click below and get a free quote to protect your sacred time away. 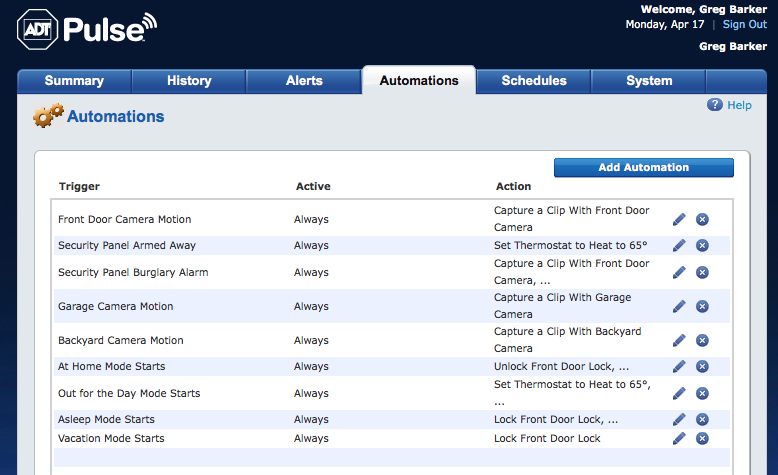 When you get your ADT Pulse security system installed the next step is to decide what you want to program it to do. Now that you have cameras, door locks, thermostat, lighting and garage door control.... NOW WHAT? With most security companies today, you start with a free equipment package and an installation cost of between $99 - $299 depending upon what kind of system you are getting installed. These packages come with a keypad, some free door sensors, a motion sensor and a key-chain remote. Now that's a nice looking lock! 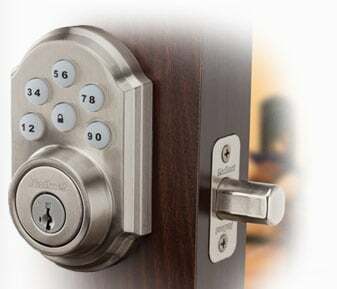 It's a Kwikset SmartCode Deadbolt lock featuring Z-wave wireless communication. A proud member of the ADT Pulse family of products AND the March Promotional Item for New Customers. Until March 31st, receive 25% with no additional installation charge when including a SmartCode lock with your new Pulse Level 3 system. Having a smart thermostat is convenience at its best! You can control them remotely and monitor energy usage which ultimately not only provides comfort, but the option to save money by understanding exactly when and how you are using the air conditioner and heater unit. ADT Pulse now offers 2 options in thermostats to use with your Pulse home automation. One fancy use for a smart thermostat is interrupting your pre-set programming. You might not warm the home until 4pm on weekdays, you know, when it's empty. Then BAM! Like a starving vulture, sickness furiously attacks you; and of course, it happens just as you arrive at work. In view of the multiple ways this has debacled your work week, at the very minimum you want a warm and cozy home to return to so you can slump around the kitchen long enough to boil soup and retreat to bed. With either thermostat, you can whip out your app and raise the thermostat before arriving. When you're sick, the tiny comforts matter! So you might ask, "How do I pick one over the other?" Glad you asked! 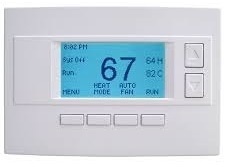 Here is a why one thermostat will or won't be the one that makes you shout, "It's the best thing since the Wheel."